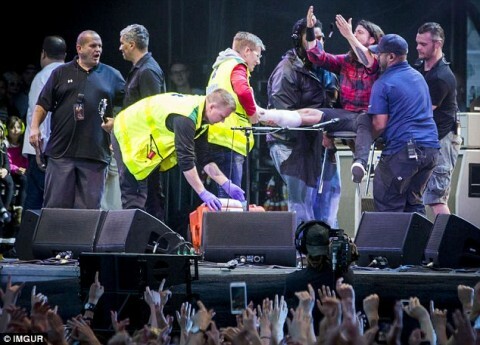 Dave Grohl continued the show with leg fracture: "You have my promise, Foo Fighters gonna come back and finish the show"
The American band Foo Fighters' leader, 46-year-old Dave Grohl, broke his leg by badly falling off the stage. 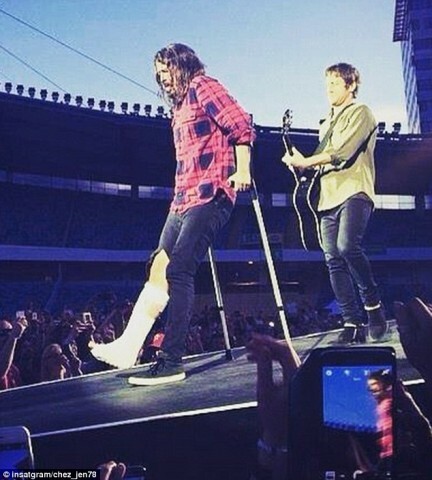 The incident occurred during the gig on June 12 in Gothenburg, Sweden. Left lying on the ground and surrounded by medical staff and organizers, the musician told the crowd about the leg fracture and promised to return after the hospital. "I think I just broke my leg. I think I really broke my leg. So look! 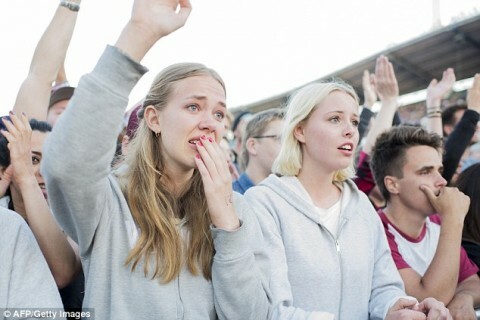 You have my promise, right now, that the Foo Fighters gonna come back and finish the show." "Ladies and gentlemen, right now I'm gonna go to hospital. I'll fix my leg, but then I wanna come back, I wanna to play for you again. I'm so sorry. We gonna do it." After Dave Grohl's returning, Foo Fighters continued performance. 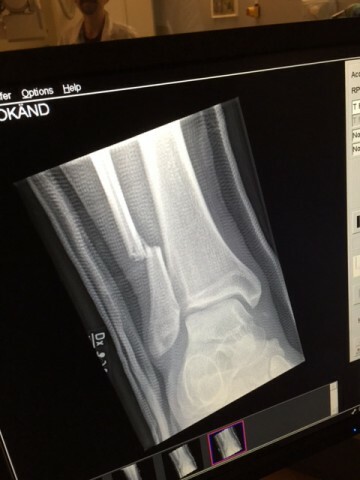 Later, the band posted the musician's feet X-ray photo with the caption: "Thank you Gothenburg. That was amazing." The next band's show is scheduled for June 14 at Pinkpop Festival in the Netherlands.